RATAR-0, the most powerful of all the Mutant Warlords, comes to Third Earth and takes control of the MUTANTS. RATAR-0 brings SNARFER, SNARF’s nephew, with him after capturing him on the Planet of Snarfs. 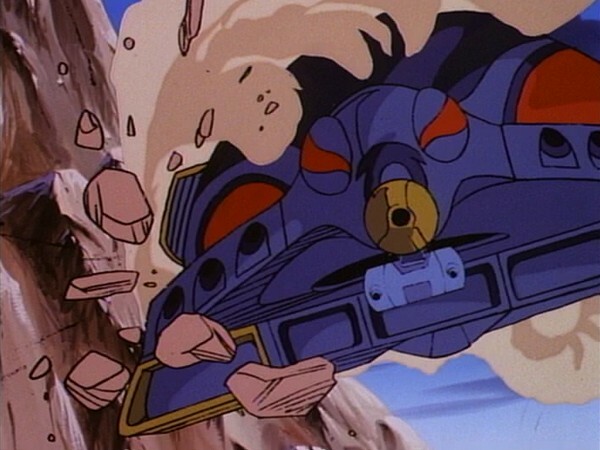 Knowing that the THUNDERCATS will help SNARFER, RATAR-0 allows him to escape and seek the THUNDERCATS’ help. 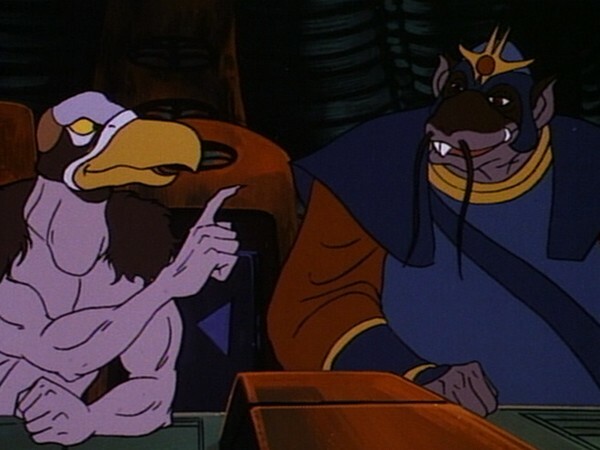 RATAR-0 uses SNARFER as the bait, which will lure the THUNDERCATS into combat with his spaceship, the RatStar. The Rat’s Eye is the equivalent of the Eye of ThunDERa and the conflict is reduced to a struggle between these two symbols. Allied to LION-O’s massive strength, the Eye of ThunDERa wins, and SNARFER is freed. The ThunderCats learn that friends and relatives of Snarf survived the destruction of Thundera and established a planet of Snarfs. Inspired by this information and the excitement of Snarf, they muster their forces; defeat the Mutants, and free Snarfer. The desire to rescue a kin and be reunited with their social group is more powerful than the desire of the Mutants to do evil. The bonds we feel to our culture and social group is a powerful motivator and serves as a basis for our identity. Our family, friends, and kinship group socialize us into the habits, norms, and beliefs of our society. By interacting with them, we acquire attitudes, behavior patterns, values, and ways of responding. Since interaction with others is so valuable, we should be open both to sharing with and learning from the significant others in our lives. The only two-part episode in the entire series, the two parts that make up “Feliner” are easily two of the most exceptional and memorable episodes of ThunderCats‘ season 1. 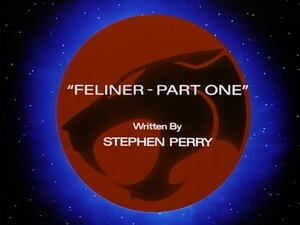 The episodes were penned by Stephen Perry, who himself was arguably one of the finest writers to contribute to the series, and of the seven scripts he wrote, the two “Feliner” episodes are perhaps the finest of them all. Whilst this may sound like overly effusive praise, nonetheless I mean every word. In the course of the ThunderCats series there are very few episodes that present so many fresh, new and exciting themes, concepts, ideas and even characters as this masterpiece does – in this first part, we are introduced to others of Snarf’s race, most notably Snarfer, the Mutant leader Ratar-O, a fearsome new vehicle in the form of the Rat*Star, and even a whole new planet in the form of the Planet of Snarfs. We’re also given a sneak peek at the ThunderCats’ new Feliner vehicle, which would provide a whole new dimension to the manner in which the ThunderCats would travel in future episodes, taking them back out into the stars from which they arrived in “Exodus”. However, the most noteworthy thing about these elements is not even their introduction but the manner in which they are introduced – for, each element is introduced in such a way as to maximise its potential impact. 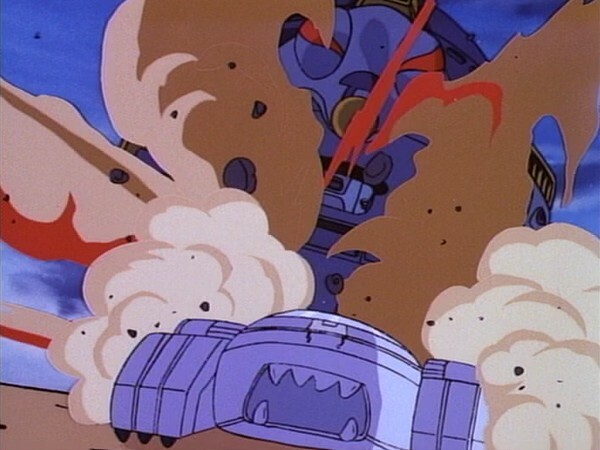 For example, after the title card has been and gone, the very first thing we see in this episode is the sight of four Snarfs travelling in some kind of hover car against an idyllic backdrop – although for those who have seen the whole ThunderCats series, and in particular the episodes showing the feline heroes repopulating New Thundera, such a scene is something that they would come to take for granted, for someone watching the series through for the first time this is a striking image, given that, as far as we know, Snarf is the last of his kind, and in fact his origins prior to this point have been shrouded in mystery. Straight away the idyllic scene becomes shattered by the stark, militaristic-looking image of the Rat*Star moving into view, and within the first few minutes of the episode we have been introduced to the new characters of Snarfer and Ratar-O, in a way that is enticing and keeps us wanting to learn more. That the origin of the Planet of Snarfs is not revealed until later on in the episode is a brilliant strategy, as for that entire time it keeps the audience asking questions, questions that carry them almost to the action-packed middle of the episode. Needless to say, this episode is a brilliant one for Snarf, because it finally answers questions that until this point have never even been addressed, much less answered. 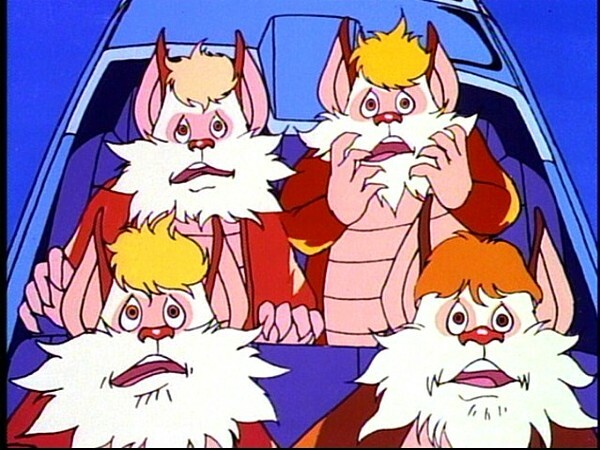 Although it would appear that they were very much a minority species, we discover that Snarf is actually one of a sub-species of Thunderian, and that, in fact, “Snarf” is not even Snarf’s real name! 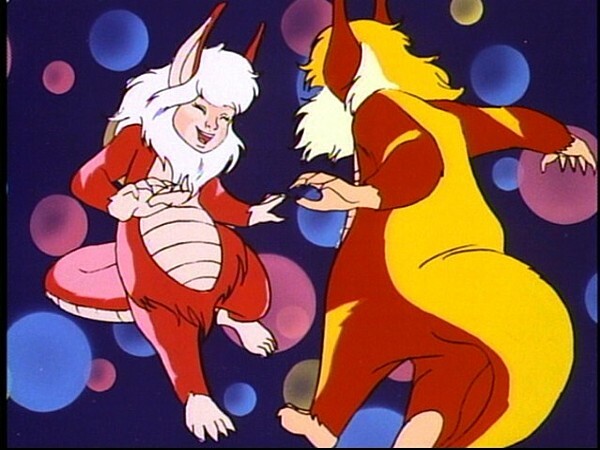 Although when it comes to animated series from the 1980s a lot of characters such as Snarf were used as “comic relief” type characters, in actual fact Snarf was actually given a lot of serious material, and this episode is a perfect showcase for that and how, when taken seriously by the writer, Snarf could be utilised as a potent storytelling force in an episode. 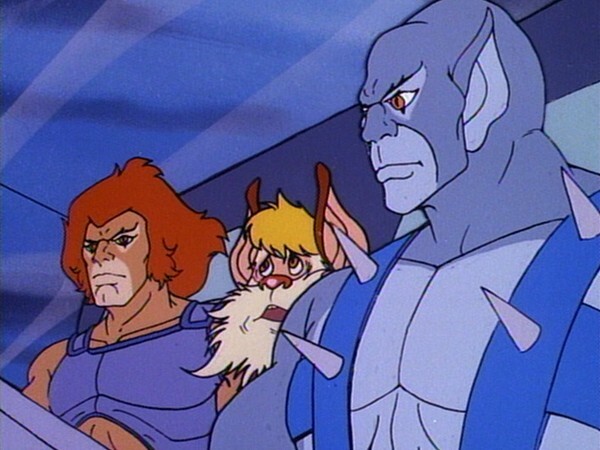 Even for non-Snarf fans, this episode is still essential viewing for providing depth and interest to the ThunderCats’ perennial villains, the Mutants. 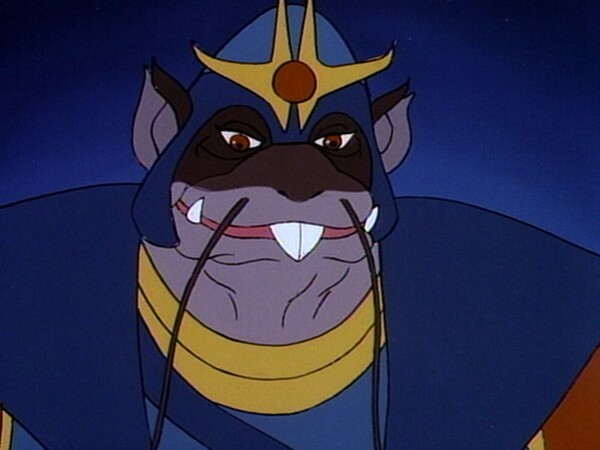 The introduction of Ratar-O, whilst only a guest character, is nonetheless a brilliant one – with the ThunderCats and Mutants locked in battle on Third Earth, it’s easy to forget that the Mutants are not, in fact, the last survivors of their kind like their feline counterparts, but are actually still a relatively thriving race with resources to hand on their home planet Plun-Darr. This is something that is subtly touched upon regularly in the series (at least following the episode “Spaceship Beneath the Sands”) courtesy of the introduction of the generic Mutant warriors that are seen to inhabit Castle Plun-Darr, but it is displayed much more obviously with the introduction of characters such as Ratar-O. In his appearance in this episode, Ratar-O oozes experience and cold, calculating evil, and Vultureman’s recruitment of his old friend and mentor to the Mutant ranks adds a real sense of menace to the Mutants. In another clever writing move, Stephen Perry subconsciously places Ratar-O above the other Mutants in their “pecking order” by revealing that S-S-Slithe used to serve under him, not as a warrior but in the ignominious position of cook! Whilst only a subtle touch, nonetheless it is these little touches that can make or break an episode, and Stephen Perry certainly attempts to pull out all the stops to make Ratar-O’s debut as memorable as it can be, whilst saving a one-on-one confrontation between the Mutant general and Lion-O for the second part. 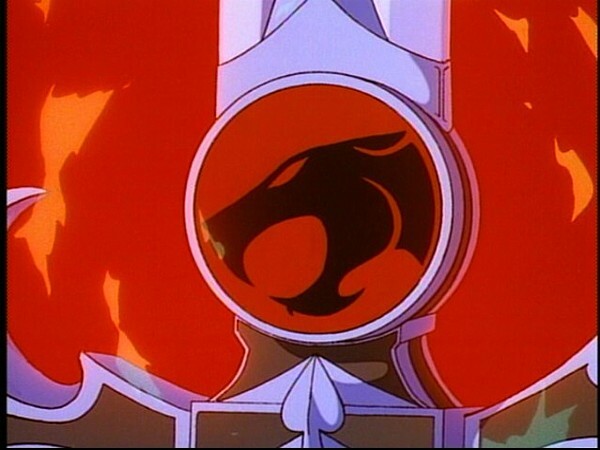 This episode also boasts another ThunderCats trademark, namely great, exciting, well-paced and memorable action sequences. In the past I’ve spoken about how some ThunderCats episodes are, essentially, just lengthy sequences of action, hung on a paper-thin plot – whilst these episodes can be entertaining in their own right (particularly for visual impact), nonetheless I’ve always believed that the action sequences make the most impact when set against the backdrop of a dramatic and entertaining story, and this episode is a perfect example of that. Seeing the raw power of the Sword of Omens facing off against the devastating firepower of the Rat*Star is one of the standout scenes of this great episode, and it’s fitting that, in an episode where the other ThunderCat characters could easily be overshadowed, Lion-O is still able to grab a couple of minutes of the centre stage. At the start of this review, I stated that the two parts that make up “Feliner” are easily two of the most exceptional and memorable episodes of ThunderCats‘ season 1. In fact, I have to confess that this statement was inaccurate – in my opinion, the two parts that make up “Feliner” are easily two of the most exceptional and memorable episodes of the entire ThunderCats series, and without them the series as a whole would be weaker. Although the series would boast no less than five 5-part episodes, “Feliner” is the only 2-part episode in the entire ThunderCats series. Even though, as with Lion-O’s Anointment Trials, the two parts of “Feliner” follow on immediately from each other and are designed to be viewed consecutively, in production order they are spaced several episodes apart! However, when the two episodes were first broadcast in the UK on the BBC, and on many networks in the US, they were shown back-to-back. For some reason, when this episode was broadcast in the UK, it aired without its title card! 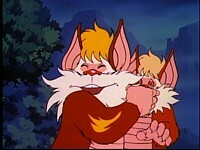 This episode introduces us for the first time to Snarf’s young nephew Snarfer – although the two parts of “Feliner” would mark Snarfer’s only appearances in season 1, in ThunderCats‘ second season he would go on to become a regular cast member alongside the “new” ThunderCats Ben-Gali, Lynx-O and Pumyra. Although a character only mentioned in passing in this episode, Snarf Oswald would actually appear in ThunderCats‘ next season! 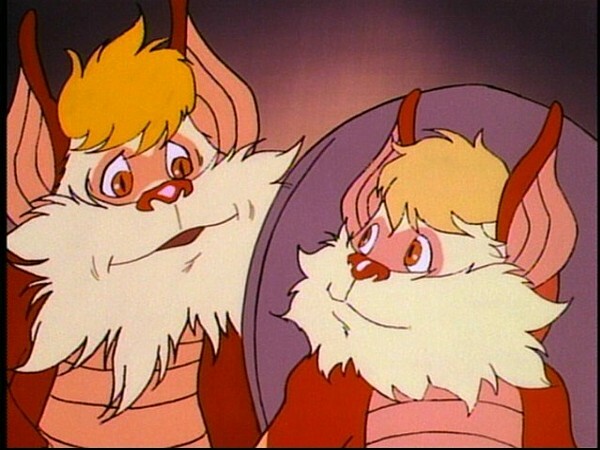 This episode also reveals that Snarf’s real name is actually Osbert – or, specifically (based on the way other adult Snarfs’ names are constructed), Snarf Osbert. However, Snarf states that he hates that name, which could be why he chooses to answer to his name’s prefix rather than his proper name! 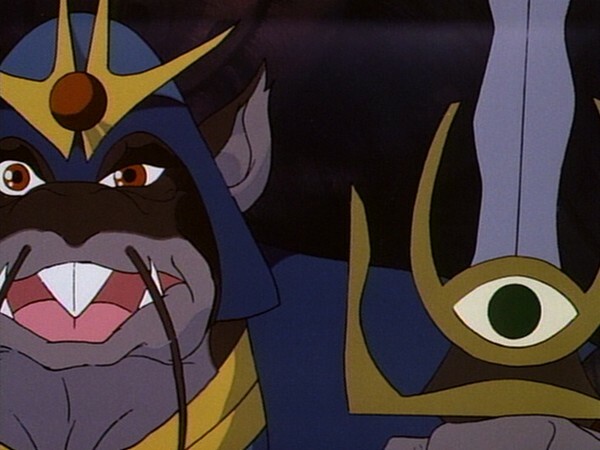 In this episode we also meet the Mutant general Ratar-O – unlike Snarfer, Ratar-O would make one additional appearance in season 1, in the season finale episode “Fond Memories”, and would also return in season 2. One of the most amusing revelations made in this episode is that S-S-Slithe used to work for Ratar-O as a cook in the Mutant field kitchens! 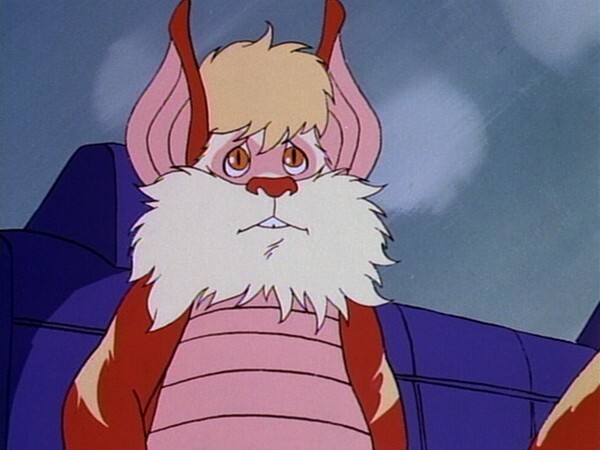 As well as providing the voice for Snarf, voice actor Bob McFadden also voiced Snarfer, meaning that for several sections of the two “Feliner” episodes (and, indeed, several episodes of season 2 as well), the dialogue is basically Bob talking to himself! 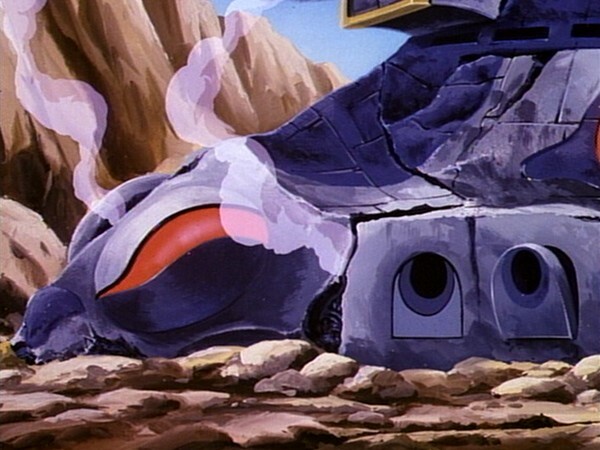 Although coloured differently, the giant rock creature that the ThunderCats battle towards the end of this episode utilises the same character design as the Rock Giant seen in the episode of the same name.